Why Use WordPress? -Is it really that much better than the alternatives? WordPress is the most popular content management system (CMS) in the world and is in charge of over 60% of the sites that use CMS on the Internet. It powers one in every five websites on the Internet and helps 100,000 new websites come online every day. However, many beginners to web management often ask: Why use WordPress? Is WordPress better than my standard html website? Why make the switch to WordPress? This article will give you answers as to why you should consider using WordPress for your website. Whether you’re a blogger or simply launching a new online business, the fact that WordPress is 100 percent free is extremely advantageous. Best of all, you don’t have to worry about hidden charges if your site becomes more popular than anticipated. WordPress will always be free. WordPress source code isn’t encrypted, meaning you can alter or improve on the source code to create a site suitable for your needs. An experienced web design team can create any type of site you need using WordPress as the Content Management System (CMS). The source code is open to the public and has been subjected to peer review, individuals and teams of researchers have contributed to the security of the software by examining the coding and testing for vulnerabilities. The adaptability of WordPress is another element that can’t be topped. Regardless of what you’re utilizing WordPress for – whether as an individual blog or for a popular e-commerce website, WordPress is sufficiently adaptable to address any of your issues through its available themes and plugins. WordPress has over 3000 free themes, and more than 49,000 available plugins. A competitive marketplace with free and commercial software available means you have the ability to create anything from a basic free website to a professional business website using WordPress. With just the click of a button within the admin area, you can modify your site to look and function however you want. Since WordPress is such a popular CMS, it’s no surprise that it’s a target for hackers. Nonetheless, WordPress takes the security of its users very seriously. While you can practice some basic safety precautions, for example, not downloading a plugin or theme from an untrusted website, WordPress continuously upgrades its software to forestall hackers. In fact, WordPress has a programmed update feature in place ever since the release of version 3.7. 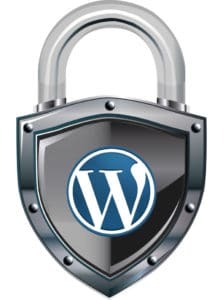 There are also powerful free plugins available, such as Wordfence Security, that you can utilize to keep your site even more secure. Another remarkable advantage of using WordPress is that it is extremely user-friendly. The administrator area is straightforward to learn, intuitively organized, and easy to use. Indeed, you can figure out the basics of managing a WordPress site in a matter of minutes. There are 1000’s of videos on YouTube showing how to do practically everything on a WordPress site. There are active support forums (https://wordpress.org/support/) where you can get help from experienced WordPress users for free. It’s more important that a website be mobile friendly now, than ever before. With WordPress you don’t have to worry, since the software is built to be mobile friendly from the ground up. Practically every current theme available for WordPress is mobile friendly, including the free themes from the WordPress development team. 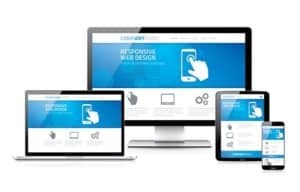 If you have an older WordPress site you might need to upgrade the software and theme to make your site mobile friendly. The addition of videos, images or audio files is a wonderful way of improving the experience of your clients. Thankfully, WordPress makes it easy for you to embed multimedia into a page or post. In addition to the fact that it is simple for you to upload multimedia, you can also edit files, like images while in the Media Library Screen.